Attorney-owned Web sites touting legal services are as ubiquitous as a Jon or Kate sighting. Establishing and maintaining an effective Web presence however, means more than merely buying a domain name for the site and posting a headline or your photo. That’s because Web sites “let your public know you exist,” opines Poll. However, he also cautions plaintiffs’ attorneys to remember that not every potential client has access to the Internet, meaning the Web is not the way to reach them. You need to know the demographics of your client base. “The average American who becomes a slip-and-fall plaintiff may not be tech savvy enough to find a lawyer [online],” says Poll. Although she had no prior experience, Rowland built her entire site using Google Blogspot software. She already was a regular user of Gmail, which is Google’s e-mail software, so she decided to try its free Web site materials, too. She was surprised at how user-friendly it was and would recommend it to others, with at least one caveat: The software is “limiting,” she opines, acknowledging there are likely better programs available. In fact, Rowland says she’s considering hiring a Webmaster to create a more interesting, attractive site. Brenda McGann, who established L.A.-based Brenda McGann Public Relations in 2003, encourages lawyers to become active in cyberspace. A blog, for example, is an extremely useful marketing tool, especially for a lawyer who lacks the time to craft a newsletter for current and prospective clients. “Web sites are interactive,” says McGann, “and offer the opportunity to educate [consumers] about yourself and your niche area of practice,” she says. This advice is especially true for plaintiff attorneys, says McGann. “You’re in an area of law that tends to be represented by solo practitioners, so you need a way to let people know who you are and that you are here to help them,” she explains. It’s no surprise that Igor Ilyinsky, founder of Maverick Maven LLP, a business specializing in building legal Web sites worldwide, says sites are an essential marketing tool for attorneys. Chicago-based Ilyinsky cautions lawyers that the general aesthetics of the site must be pleasing to readers. “A site should not look like your cousin, taking a high school graphic design course, built it,” he says. Since attorneys are typically thought of as “affluent decision-makers,” their Web sites should reflect that assertiveness, he says. Should an attorney offer free legal advice on their Web site? Ross Fishman, CEO of Fishman Marketing in Highland Park, Illinois, says yes, but with a caveat. While he doesn’t agree lawyers are well-served by serving up free legal advice on their sites, there are ways attorneys can present concrete information that isn’t tantamount to giving legal opinions for free. For example, prospective or current clients might find it useful if a lawyer’s Web site contains forms pertaining to the legal matter for which they are seeking counsel. Online forms seeking information designed to help the lawyer evaluate a case can also expedite an initial consultation. Since time is money, including free legal forms on a Web site can also spare the lawyer from unnecessarily expending time on a case weakened by the lack of a sufficient cause of action. Moreover, “If the goal [of having a Web site] is to generate business, forms are a direct way to do that,” says Fishman. • Present a high quality design. Pete Boyd, who heads PaperStreet.com, a Florida-based Web design and Internet marketing enterprise for lawyers, is emphatic about the goals of a lawyer’s Web site. “They should have a site that impresses. You have less than one second to impress the user, to pique their interest,” he says. A lawyer’s Web site should feature fresh content, which encourages readers to return to the site for new information. The site should explain the lawyer’s area(s) of expertise. That information allows visitors to familiarize themselves with the attorney, so if the reader then contacts the lawyer a connection has already been established. Be sure that your Web content makes you “sound knowledgeable and articulate,” says McGann. Listing organizations to which the lawyer belongs is useful information to share with readers. However, she cautions lawyers not to reveal personal preferences, such as food likes and dislikes or recent travel experiences, which diminish the overall quality of a site, she says. A recent photo of the attorney is also imperative “so clients can see you in a current style,” says McGann. If a Web site includes video of any kind, be sure it is well-edited, she says. Marketing guru Fishman is emphatic when he implores attorneys not to focus too much on themselves, but rather on what the lawyer can do for the potential client. “Tell the client what’s in it” for them, he says. The site’s design and appearance are important, too. A lawyer’s site should feature enticing graphics and fresh content to differentiate it from all other attorney sites. “You want the client to be able to identify with you,” he says. According to Fishman, whose company has been developing Web sites for law firms worldwide for over 15 years, lawyers tend to repeat the mistakes of other attorney Web sites. For example, avoid amateur site designs that lend an overall impression of low quality, he says. Posting generic, clichéd images typically linked with lawyers and the legal profession, such as a gavel, law books, or a courthouse photo are huge no-no’s, says Fishman. Instead, use unique graphics or words that differentiate your site from all others. A lawyer’s Web site should also state compelling reasons why a prospective client should hire the attorney over a competitor. “I see these mistakes, especially on plaintiff attorney Web sites, over and over,” says Fishman. He suggests that before a lawyer or law firm creates a site, they should review the Web sites of at least ten other attorneys or law firms. That way, the lawyer “can see what others have done,” he says. But don’t necessarily copy them. “Most lawyers don’t have a strategy other than ‘hire me, I need more clients.’ Ask yourself, ‘Would I hire myself based on my Web site?’” Fishman suggests. Mark Britton, founder and CEO of Avvo.com, a Seattle-based business that helps attorneys improve their marketing skills, agrees with Fishman’s assessment. “If a potential client slips and falls but they don’t have the time to research or the knowledge to know if they have a case,” a plaintiff lawyer’s Web site that grabs their attention and provides the desired information will improve that attorney’s chances of gaining a new client, says Britton. Lawyer registration at Avvo is free. Among the pro bono marketing services offered attorneys is a forum for responding to law-related questions posed by the general public. The more often a lawyer responds to inquiries, which helps establish relationships with potential clients, the higher the attorney’s ranking within Avvo. Building a Web site is one thing, but getting visitors to your site is quite another. The success of a legal Web site can be measured by the number of unique (different) visitors it attracts which, if the Web site is well done, will lead to more client inquiries. So how do you get visitors to the site and how complicated is it? John M. Feder, a name partner in the San Francisco plaintiff’s firm Rouda Feder Tietjen & McQuinn, is a perfect example of a lawyer who readily recognizes the importance of a law-firm Web site while admitting a lack of interest in its mechanics. Lawyers “must have a Web site. That’s part of the 21st century. It’s just not how I want to spend my time,” he says. One of his partners however, Miles Cooper, is quite savvy on how to increase the visibility of the firm’s Web site through Search Engine Optimization (SEO). “SEO is a way to get to the top of a Google search [list] via a natural search,” says Cooper. A natural search occurs when a Web surfer types search terms, or keywords, relating to a particular topic into a web browser such as Google, Yahoo or Microsoft’s new engine, Bing. Typically, a firm hires an SEO guru to build traffic to the Web site. The more an SEO service excels at decoding the algorithms used by Google, Yahoo and Microsoft to rank Web sites in the natural search list, the more the site can be optimized for search engines and the higher it will appear in the natural search list. The higher a site appears in the list, the greater the likelihood that the consumer searching Google will go to that site. Of course, using the search engine algorithms to your advantage is not simple. “Google does not reveal algorithms so real gurus work diligently to discover hot search words or hot strategies for maximizing results,” says Cooper. This talent is not easy to master but many people claim to be masters of SEO, so it’s “buyer beware,” he cautions. He advises lawyers to be wary of Webmasters who claim they can quickly decipher Google’s algorithms and propel a site to the top of a Google search virtually overnight. “Get a list of clients [who have hired the Webmaster] within the last few years” and contact them, he says. ”The best people to talk to are the ones who have hired them before,” sums Cooper. SEO is of paramount importance in cyberspace, especially, for example, to a plaintiffs’ attorneys seeking to differentiate themselves from a mass of other plaintiff law firms competing for the same clients, according to Tim Stanley, CEO of Justia.com. His company, based in Mountain View, California, focuses on legal marketing and increasing the public’s access to useful legal information. “For plaintiff attorneys looking to reach out to consumers where contact is random, SEO is important. The core focus is how to optimize the Web site so it shows up high in free Google rankings. If they do that well, they’ll get clients,” says Stanley. Search Engine Marketing (SEM) is SEO’s cousin, says Benny Blum, Creative Director for eSearchVision, a global search marketing software developer and agency based in San Francisco. Whereas SEO pertains to free searches, SEM encompasses paid searches, he says. A paid search is a form of Internet marketing that can occur in several ways. One is when a site owner pays for a higher ranking than competitor sites so when a guest performs a keyword search, the paying site will appear higher than non-paying ones. A site owner can also purchase an online ad aimed at their target market or can pay to be included somewhere in the list of sites relating to a specific keyword. Even though San Francisco attorney Colette Vogele practices intellectual property and privacy law doesn’t necessarily mean she got everything right when she first delved into cyberspace in 2004. “I didn’t do any SEO in the beginning,” she says. However, now that her firm’s Web site is under reconstruction, she will definitely focus attention on it. She created all the content for her current site and will do so again for its reincarnation. What she won’t do this time around is own a site that requires her to contact her Webmaster every time she wants to update the site. Not only did that cost her money every time her Webmaster had to amend the site in some way, the changes did not come quickly enough for Vogele. Still, some would say she got what she paid for. The Webmaster charged $25 per hour for the edits. Her new site features an upgrade that permits her to edit content whenever she pleases. Her first site cost less than $500 to get up and running (the Webmaster was also her friend). Additional expenses included monthly hosting fees and the cost of domain names, although those fees were reasonable, she says. Her revamped site will cost her ten times what the first one did, but because she practices IP law, “I can’t not have a Web site,” she says. The cost of hiring a Webmaster to design a site varies, depending on several factors. Take for example, the Web design firm Boyd’s PaperStreet. Boyd’s is a custom-design firm, meaning it not only personalizes a site but also charges by the job and not the page, with fees beginning at $7,500. However, attorneys new to PaperStreet can opt for a less expensive, albeit less personalized option. The company provides starter plans offering 11 design templates to choose from. Those sites start at $3,000, says Boyd. Justia.com also provides free templates for lawyer Web sites, which can be found at www.justia.net. However, if Stanley’s Webmasters build a solo practitioner’s Web site, it will likely cost between $2,000 to $5,000. A site for a large law firm can command upwards of $20,000 to build, he says. 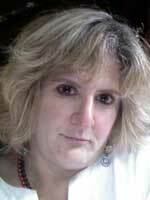 Tami Kamin-Meyer is an Ohio attorney and a freelance writer and editor. Her byline has appeared in Better Homes and Gardens, Ohio Lawyer, and Ohio Lawyers Weekly. In 2007, she was the Ohio correspondent for www.legalnewsline.com., Kamin-Meyer also penned a study guide about filing personal bankruptcy published by Quamut, a division of Barnes and Noble.